THE CHILD AND Family Agency Tusla says it is “very concerned” that members of the public may be worried about the Agency’s practices and procedures after an RTE Investigates programme last night about children in care. RTÉ Investigates examined a case where Tusla fought to keep a child in a foster placement, despite the existence of “credible” allegations of sexual abuse. In 2011, a boy named ‘Mark’ living in voluntary foster care told his birth mother than he had been sexually abused by another foster child twice his age. Despite this, the HSE decided to leave ‘Mark’ in the foster home. 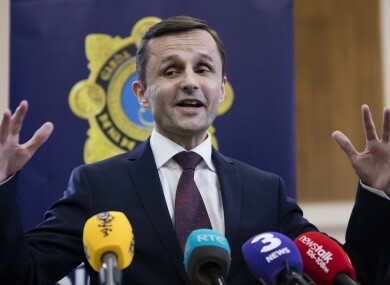 The programme was aired on the same day a report was published by the Government’s Special Rapporteur for Child Protection Dr Geoffrey Shannon, which stated that “much greater co-operation” is needed between gardaí and Tusla to protect vulnerable children. It was written and commissioned by An Garda Síochana following the controversy of the removal of two Roma children from their families by gardaí in 2013. The report found chronic systemic failures in the functions carried out by Tusla. The report looks into the gardaí’s use of Section 12 of the Child Care Act – a provision that provides the gardaí with permission to remove children from their families when the children are at serious risk. It states that some children are removed from their families by gardaí on numerous occasions, only to be returned by Tusla. The Agency said that it is not in a position to comment on individual cases in order to protect the privacy of the children and families it works with. This analysis will address key themes identified in Dr Shannon’s report. For example, collaboration, the repeated use of Section 12 for the same child, and the use of hospitals. The analysis will be completed by the end of June, according to McBride. Tusla has said that they work closely with An Garda Síochána in terms of child protection, providing the gardaí with full access to the Tusla Child Protection Notification System. The report also criticises the lack of a comprehensive out-of-hours social work service, claiming that unsuitably trained gardaí are oftentimes forced to take young children to garda stations or hospitals because there is no other available place of safety. Tusla set up an emergency out-of-hours service (EOHS) in 2015. “The purpose of the EOHS is to co-operate with and support An Garda Síochána in the execution of their duties and responsibilities under section 12(3) of the Child Care Act,” Tusla said. Currently, Dublin, Kildare and Wicklow and Cork have an out-of-hours social work service in place. The Emergency Out of Hours Service is available for all other counties, according to Tusla. Email “Tusla is "very concerned" after child sexual abuse issue raised on RTE Investigates”. Feedback on “Tusla is "very concerned" after child sexual abuse issue raised on RTE Investigates”.